Not angel? Sign up now! 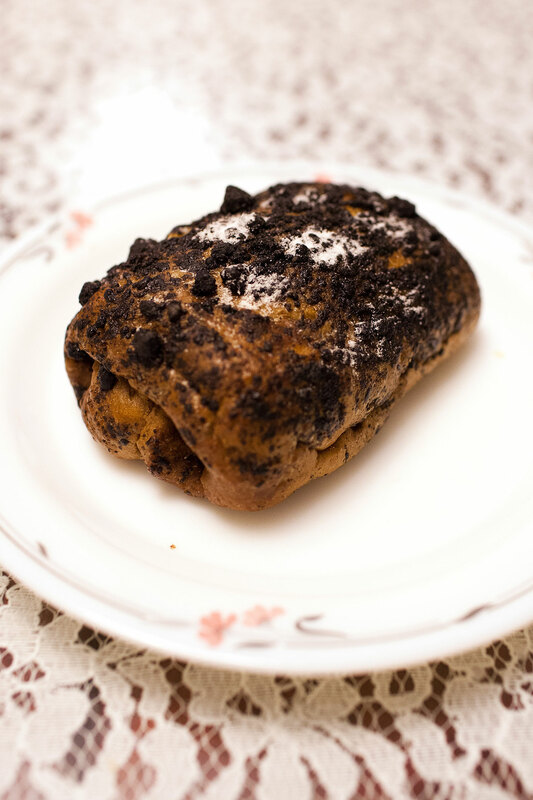 Perhaps you have bread every day, but have you tried these kinds of bread then? If you find the typical loaf of white bread too boring to you, you can then try one of these from the Ueno Bakery and Enzyme (上野酵素麵包生活館) ! 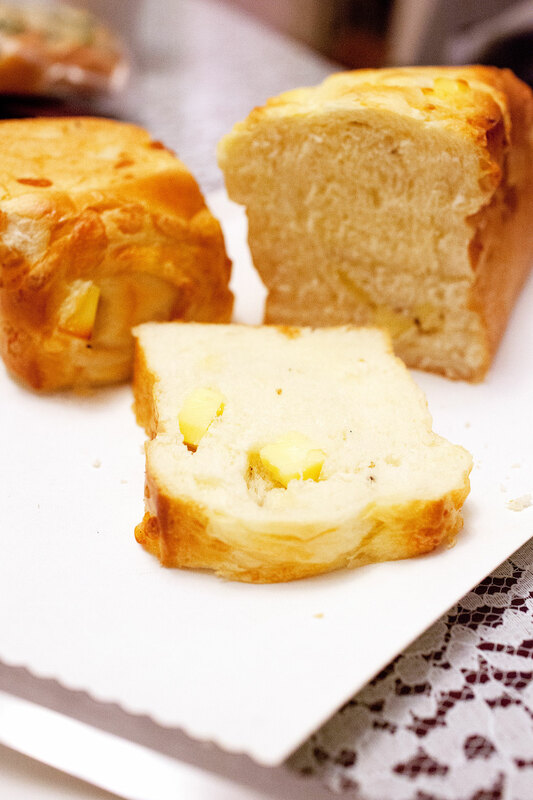 First is the Yoghurt Cheese Bread. It looks like typical cheese bread with blocks of cheese inside. However, when you have a bite of this, you will taste of yoghurt. It is not very strong but you can still taste it. I am not sure if this is healthier with the yoghurt inside, but it is pretty fresh. The next one is Green Tea & Red Bean Bread with Rice Cake. That's a really crazy kind of bread, rice cake (or mochi) inside bread? Wow! 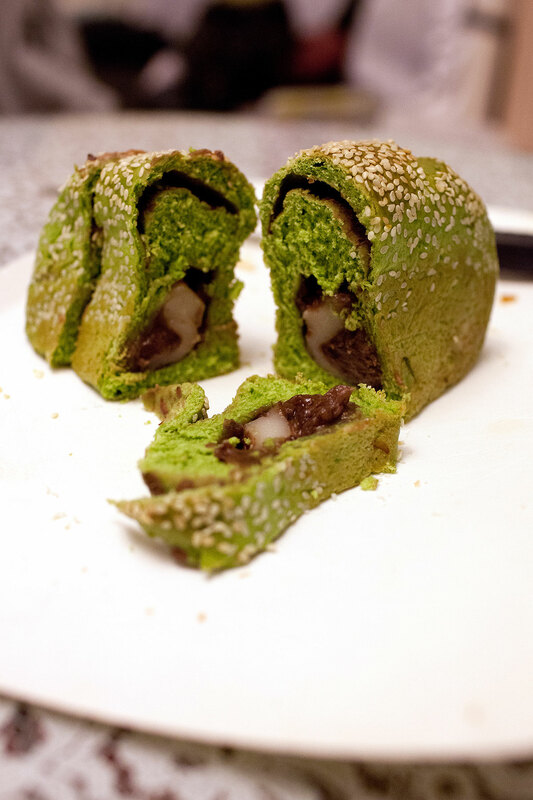 And they really put a lot of red bean paste in the bread and when I slice this open, it just leaks out like erupting! Well, one bite to have three kinds of taste (green tea, red bean and rice cake), what more do you want? 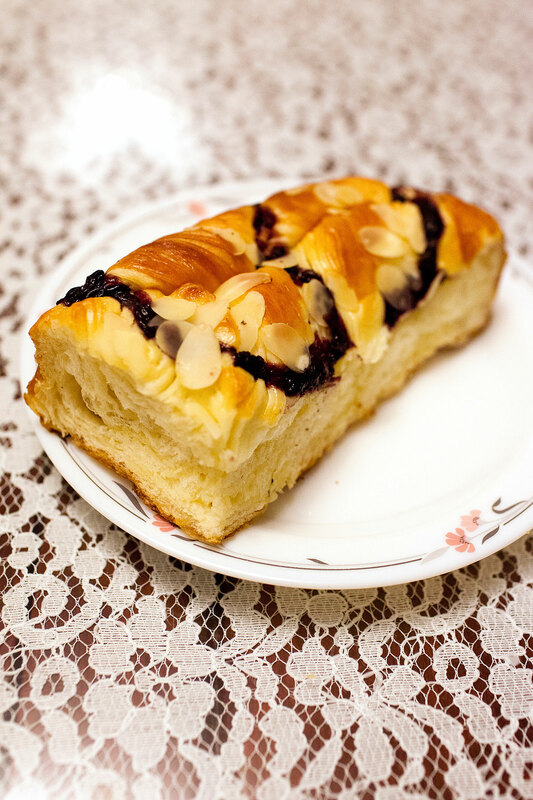 The Strawberry Bread with Apricot Kernels is a little ordinary in comparison, but it is still good. Scallion Bread! 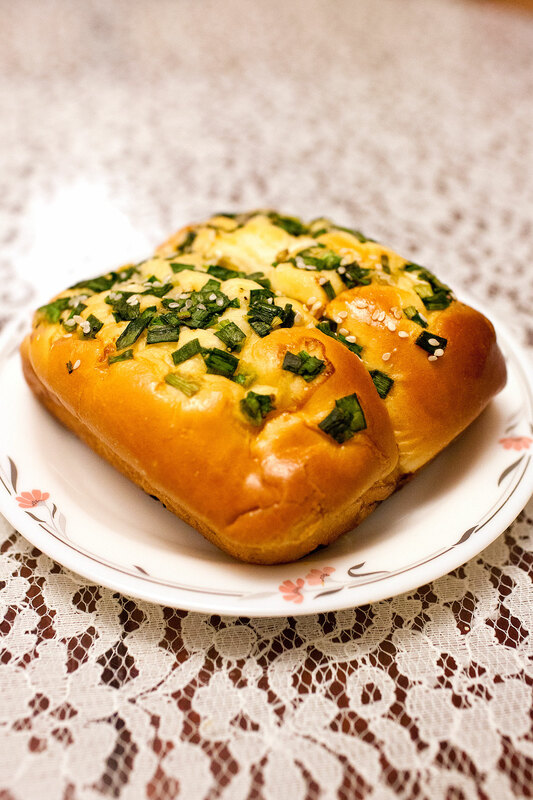 In Hong Kong, you can find scallion pancakes easily in those Shanghai food stalls or restaurants, but I have never seen a scallion bread before! This one smells so good that it is perfect as an afternoon tea with some soy milk! I am a chocolate lover and when I see this, Iimmediately grab one. This is so chocolate as my whole bag is filled with the smell of chocolate! Inside there are two rods of chocolate too! Wow, indeed a Chocolate Bun! I don't know if you like bread, but if you do, you will probably want to try all these. If not, do you think these interesting kinds of bread will reignite your interest in bread? Only members can comment on blogs. Please log in first. share one photo, or two. on google maps again - I found .. I post images. Logo design. fast, I did it. Some opinions about it. ?